My Mum, Ali sent me this image the other day. 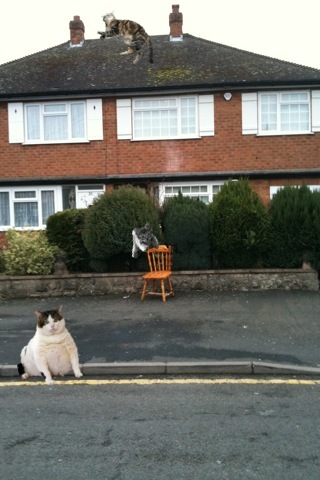 She had taken the photo of the chair and then used an iPhone application to add cats to it. It really makes me smile. I think it’s the combination of two of my favourite things. Thanks Mum.